It is estimated that over 5.7 million people between the ages of 19 and 65 in Canada wear soft contact lenses each year.1 2 Many of these contact lens wearers have been doing so for many years and have developed bad habits over time. This may be partly because they have forgotten the rules they were taught at their first appointment or maybe because the rules have changed over time due to the newest findings in medical research. Below are five common misunderstandings that frequently come through our office that we would like to clear up. Don’t nap in your contact lenses. Unless you are wearing contact lenses that have been approved by the Food and Drug Administration (FDA) for sleeping AND your eye care professional has approved your eyes for such use, it is not safe to sleep in your contact lenses for any length of time. It is best to avoid showering in your contact lenses. Soft contact lenses arrive in a blister pack, soaked in a buffer solution to keep them moist. Once the lenses have been removed from this well lubricated sterile environment, they will begin to dry out, especially if worn while in the shower. 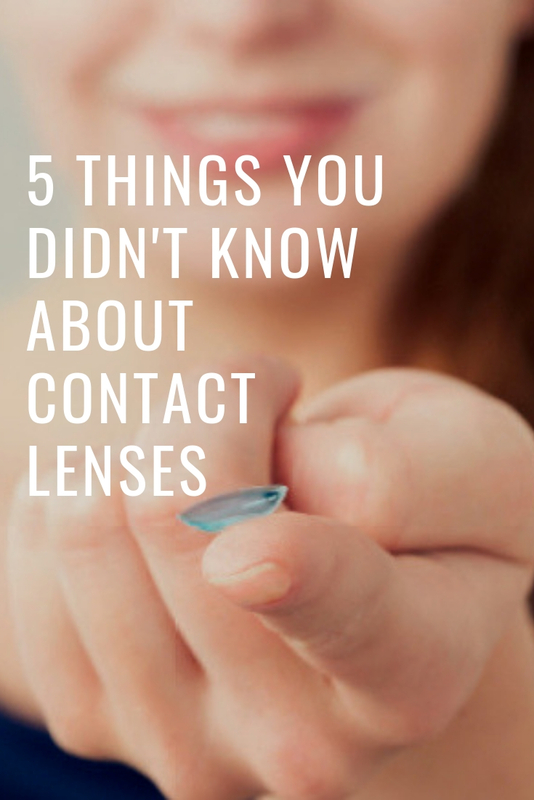 You also run the risk of contaminating your lenses with soap, shampoo and tap water when showering with your contacts in. Use contact lens approved lubricant eye drops while wearing your contact lenses. There are many safe lubricant drops that can be purchased at the pharmacy or at your local Optometrist office. We recommend I-Drop Pur by I-Med Pharma because it is a preservative-free solution with a sophisticated one-way valve which helps with dispensing the perfect sized eye drop. Using lubricant drops throughout the day while wearing contact lenses will keep you comfortable for long periods and will reduce dryness especially when working on digital devices such as computers and tablets. Never store your contact lenses in tap water. When you run out of your contact lens cleaning solution you have two options; go to the store and buy more of the same cleaning solution OR dispose of your contact lens. Storing soft contact lenses in tap water exposes them to the danger of bacteria and harmful pathogens which can lead to blinding and painful eye infections. Also, when rinsing the case after use, do not rinse the case with tap water, instead use the multi-purpose solution. There is no such thing as a “NO RUB” multi-purpose cleaning solution. Friction is what removes the microbes and cleans the lenses with a multi-purpose solution. Therefore, if you are not rubbing your lenses for at least 20 seconds prior to storing the lenses in fresh solution, you are simply storing dirty lenses and then putting dirty and potentially harmful lenses back into your eyes. If you are using a hydrogen peroxide solution to clean your contact lenses, no rubbing is needed. When using a hydrogen peroxide solution the contraption you store the contact lenses in looks like something out of the star wars spaceship. When you pour the hydrogen peroxide solution into the cleaning device the chemical reactions cause bubbling to occur, which effectively cleans and thoroughly disinfects your contact lenses. If this is not what you do for cleaning your contact lenses then you MUST rub your contact lenses with a multi-purpose solution. Many eye diseases can be quickly and easily diagnosed during a comprehensive eye exam. If you were diagnosed with an eye disease, such as Cataracts, Glaucoma, Macular degeneration, Diabetic retinopathy, or Dry eye, you may be overwhelmed by the diagnosis and confused about what happens next. Will you need medications or surgery – now or in the future? Dr. Pezik has your answers, book your appointment today to find out what is best for you. If you have further questions about your contact lenses or are unsure if you are using your contact lenses properly ask your eye care professional what is best for your eyes.